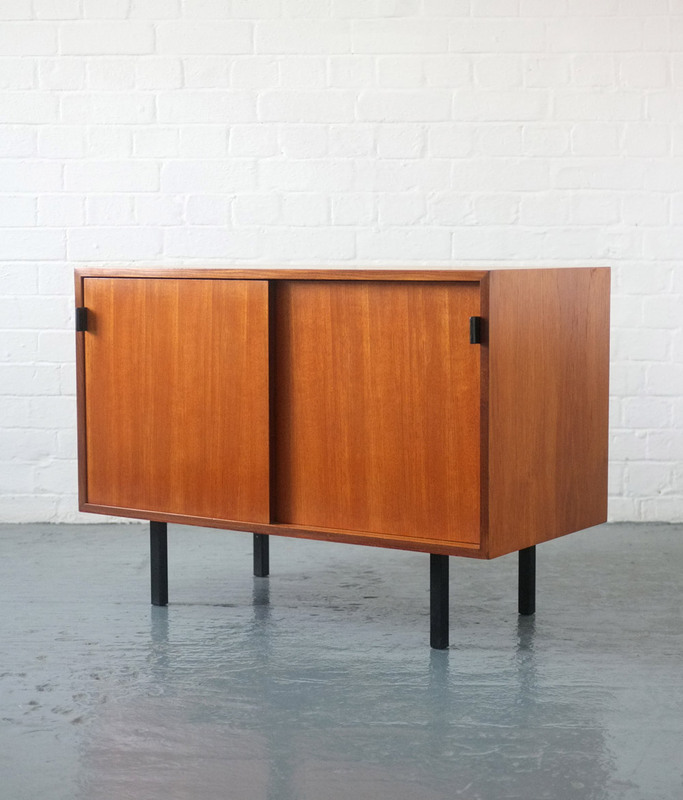 A 1950s sideboard designed by Florence Knoll for Knoll International. 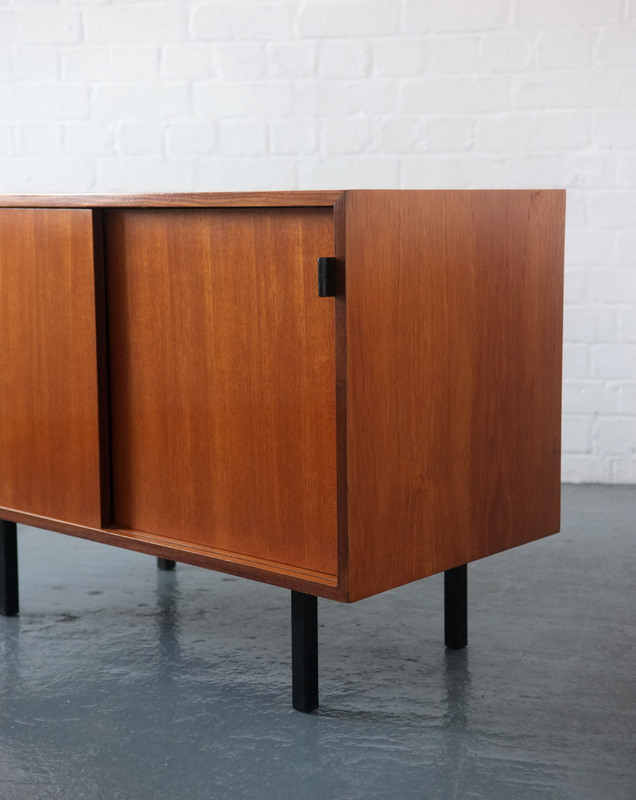 A beautiful and minimal design that is quite unusual to find in the UK. 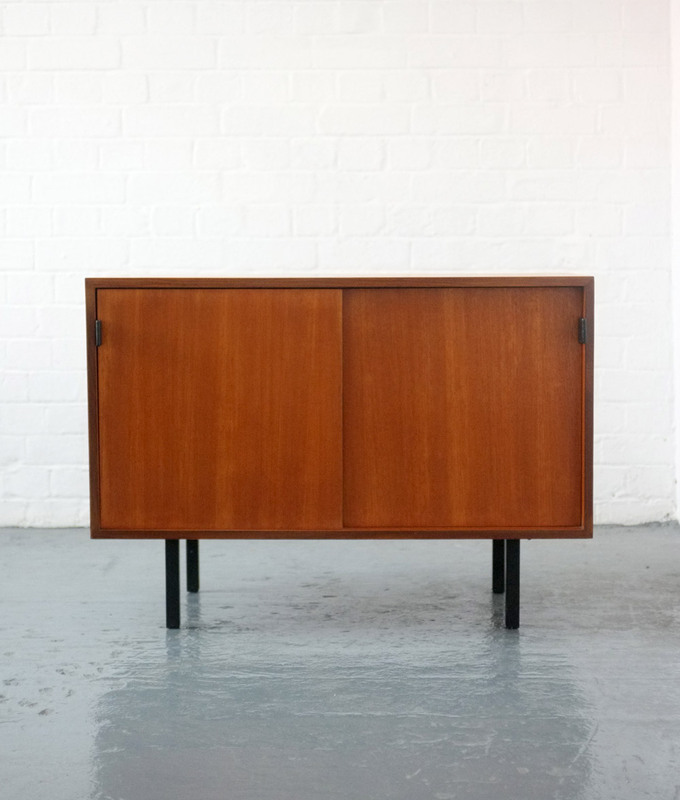 Two sliding doors with black leather pulls and black metal legs. 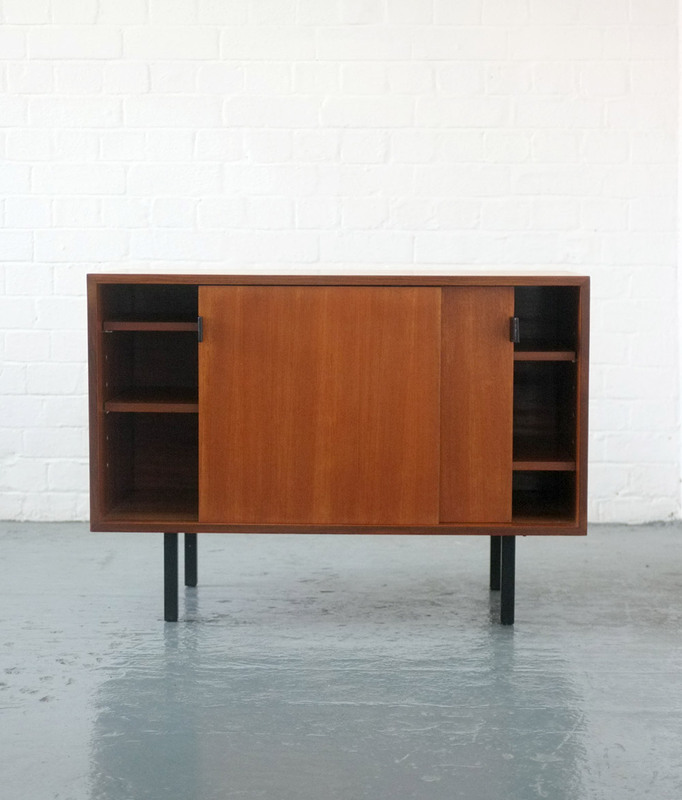 Inside there are adjustable shelves. Dimensions: 91cm long x 45.5cm deep x 65.5cm high.